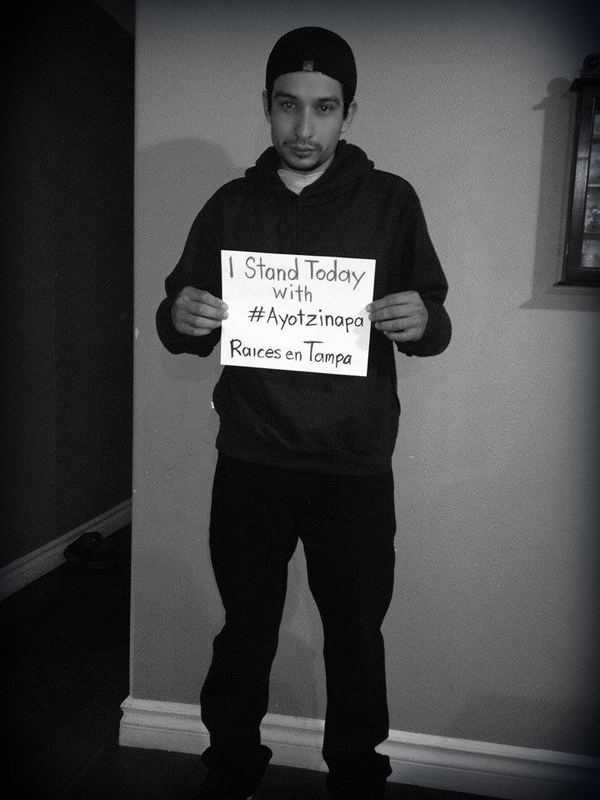 Raíces en Tampa Stands With Ayotzinapa! Mexico has become a lawless country, a country without justice in a country where social differences define whether you live or die. On one side are the rich armored to the teeth by governmental agencies and sometimes even by the “narcos”, on the other side of the coin people live in extreme poverty and also terrified by the conflicts of organized crime. In Mexico all of this has created a system where it is best to hide the truth than to fight against the corrupt government. Big news stations cooperate with the censoring of information, because the larger companies, in some ways, are controlled by organized crime. There are a few remaining, honest journalists who are willing to report the truth but always end up disappearing. 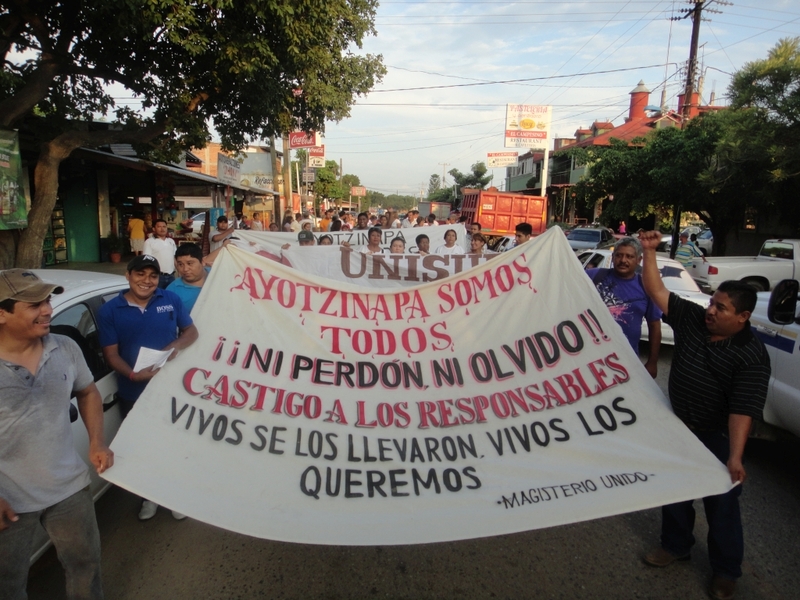 The latest massacre in Ayotzinapa has shown the world the cruelty of the crimes that happen every day in Mexico. This is nothing new and is something the Mexican society has been fighting in the lates six years. Mexican criminals have lost respect for people’s lives and murder their victims for purely shock-value. 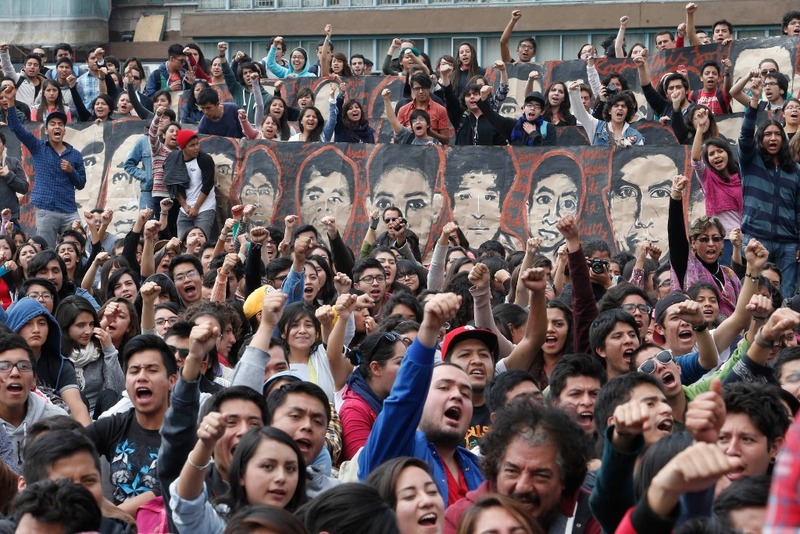 The tragedy in Ayotzinapa created outrage around the world, and perhaps this was because the victims were young students and teachers who only sought resources for their community. These 43 students were also know for organizing their community and teaching everyone to fight back against the corrupt government. The massacre of the normalista school has reminded the grieving and wounded people of Mexico that the majority of politicians are corrupt and function solely for organized crime. After the ex-mayor of Iguala, Jose Luis Albarca, ordered the disappearance of the normalista school he abandoned his position and fled the state of Guerrero to avoid being questioned, perhaps hoping that as in the past somehow the government would bury this story. As we know this was not the case. The people have opened their eyes and demanded justice! As if by magic, suddenly unmarked graves began to appear. 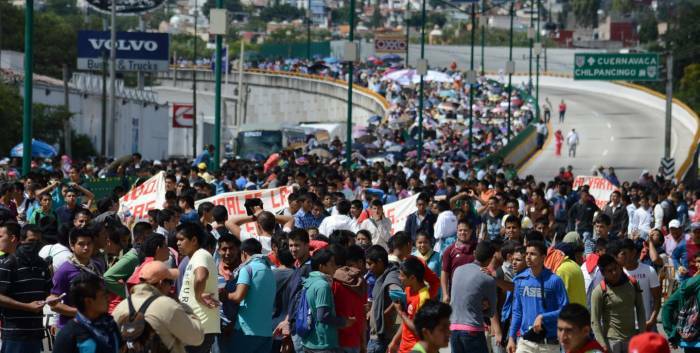 Parents were dissatisfied with this version and demanded the heads of the municipal police responsible for the kidnapping of the 43 students. While there are over 50 detainees linked to the tragedy and awaiting sentencing, the cruelest event has taken place. According to the normalistas murderers, the 43 students were executed and later had their charred remains thrown into a river near the region. The shameless manner in which the murders of the 43 speak, screams of a lack for remorse, thus creating more outrage for the affected families. This tragedy has created a movement of a people united against corrupt politicians, a people tired of bleeding, a people who can change the course of Mexican history! This tragedy has has ignited the spark needed for revolution in Mexico. And maybe for the first time in years the Mexican people will be able to obtain their justice! 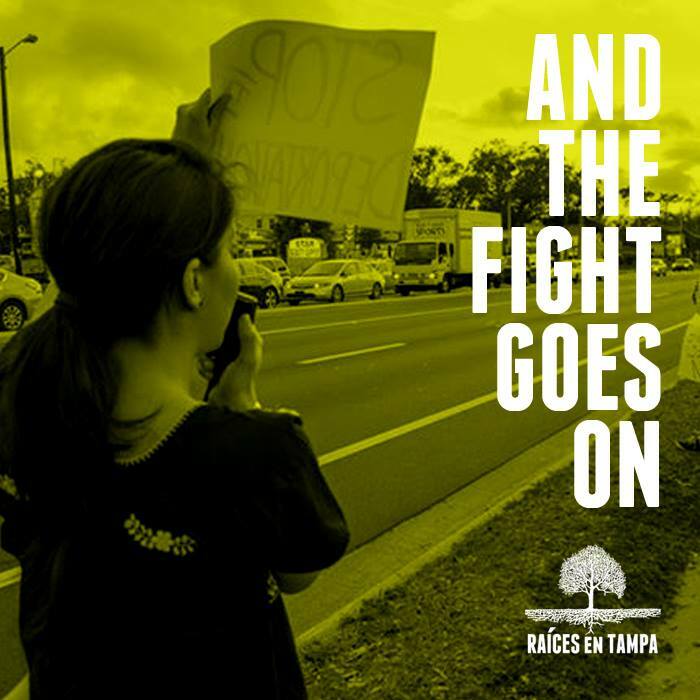 From Tampa, we send the most sincere condolences to all families affected by the violence not only in Ayotzinapa, but also in all of Mexico. We are with you brothers!